Have you just entered the world of special education? Are you beginning the IFSP or IEP planning process? 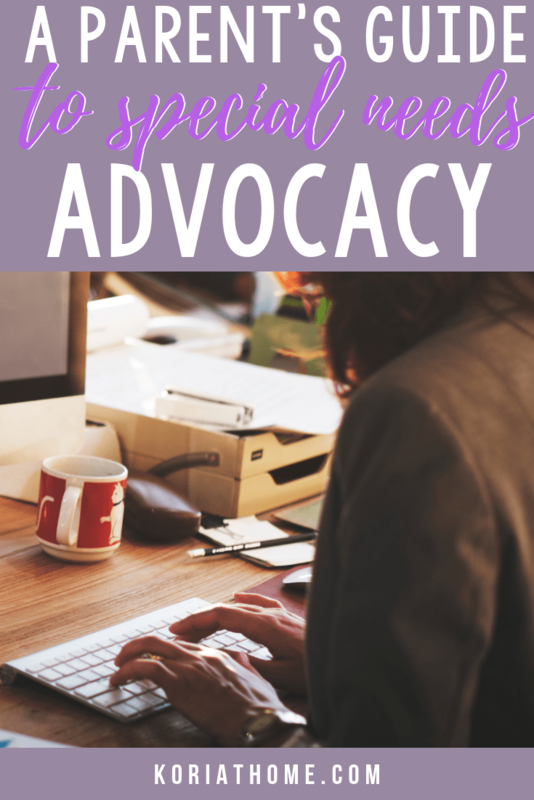 If so, I am sharing my best tips (from 20+ years of experience) on special needs advocacy. If the first thought that comes to mind is that you can’t do this? You are the best person qualified to advocate for your child. You. Go look in the mirror… I’ll wait. Just be sure to come back. Without this incredibly important mindset shift? You will be spinning in circles. I had my own ah-ha moment the year that I made Santa Claus cry. And, my friend, I could very well still be on the path of overwhelmed IEP meeting attendee had I not started listening to myself. Had I not started realizing that wow — I am capable of doing this. And that yes, I am capable of asking for the things that my daughter needs. I came to realize that yes, I am my daughter’s advocate. Even among the licensed professionals and the certified therapists. The teachers with their years of classroom experience and advanced college degrees. I am the expert on my daughter. I am the most qualified to be her advocate. So, you might be thinking, that’s all well and good. But what about making sense of this whole IFSP or IEP thing? 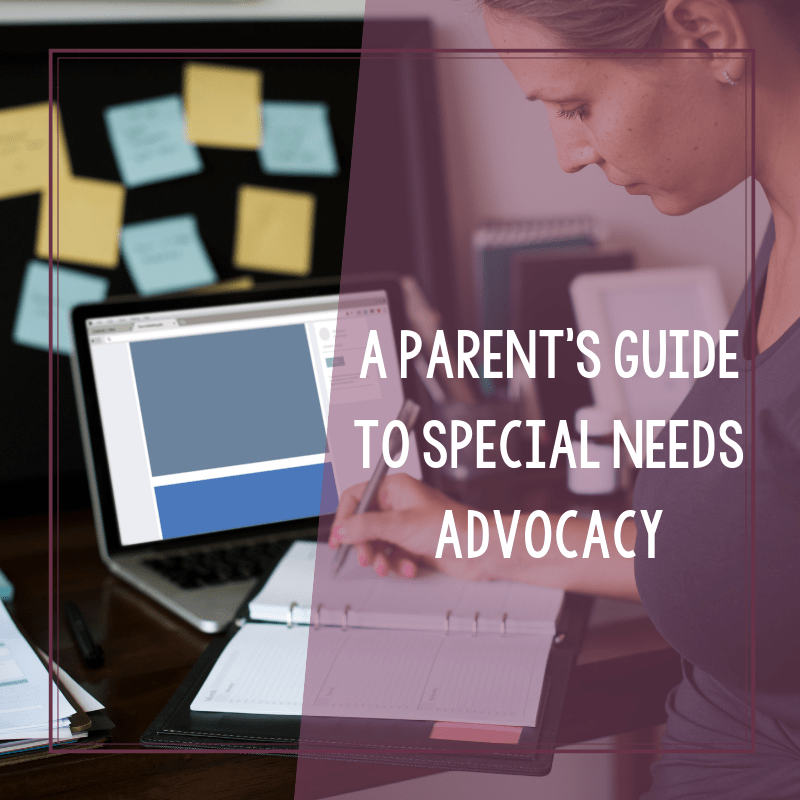 What can parents do about special education advocacy? Especially when special education advocacy has so much language that’s hard to understand. I get it. Really, I do get it. Special education terminology can be enough to make your head spin. Once you get a better understanding and a better grasp on these terms, and understand the way that the laws work, special education is so much easier. Or, at least, that’s how I felt. But, I also looked at it from the approach of taking a journey. I knew, after all, that learning how to advocate would be an important skill. And one that I would likely need for the rest of my daughter’s life. So, what if I told you that there was a resource? 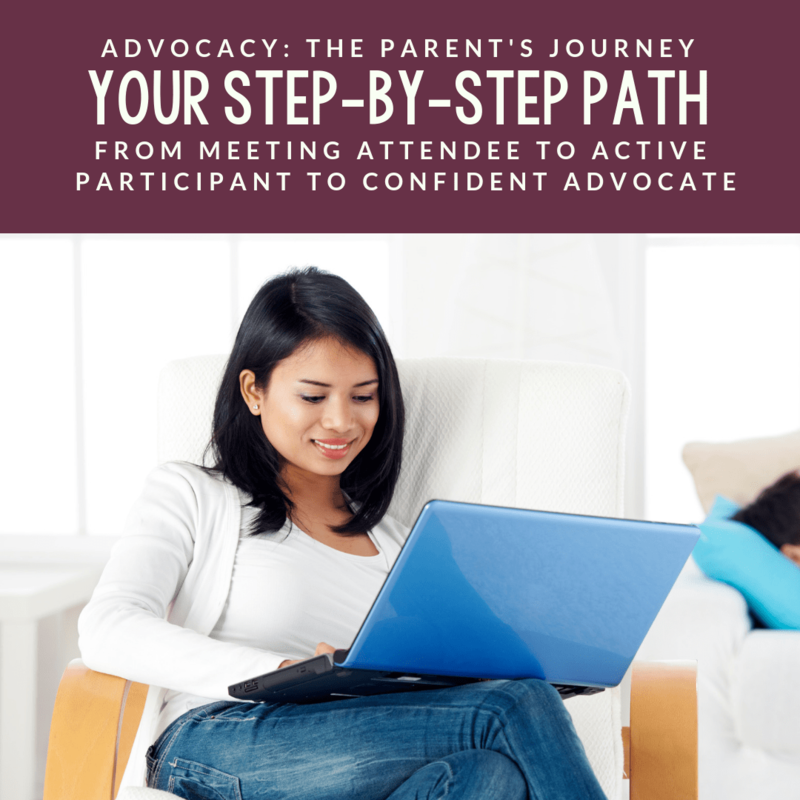 What if I told you that there was a step-by-step framework that could help take you from overwhelmed IEP (or IFSP) meeting attendee to active participant to confident advocate. What if I told you that this course was created by a mom with 20+ years of special needs parenting experience? 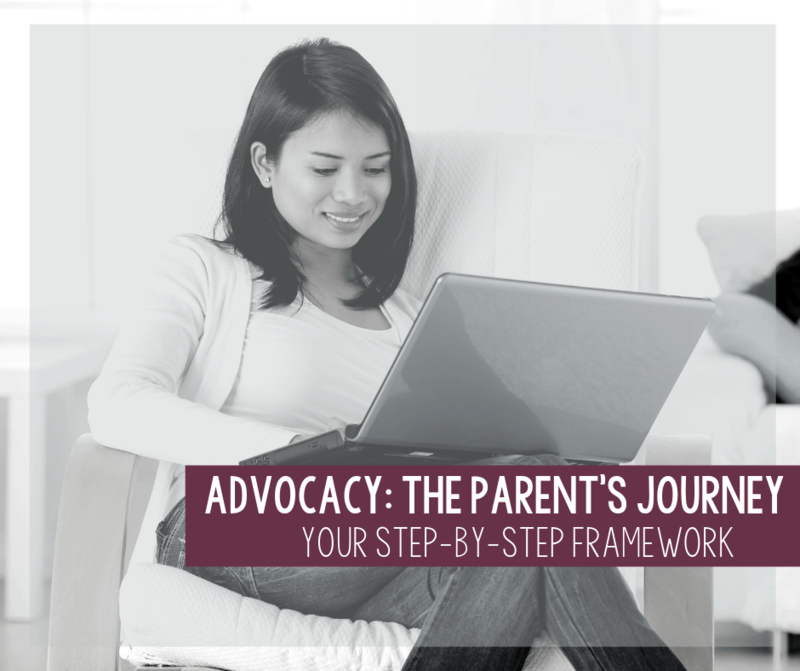 The course is called: Advocacy: The Parent’s Journey and it is my step-by-step framework for going from overwhelmed meeting attendee to active participant to confident advocate. The first 5 modules walk you through the process of becoming an advocate by identifying your skills, and building your strengths when it comes to advocating. You will learn how to tell your story with confidence and to make an impact. The next 4 modules then take you through the world of special education. Together, we explore and unfold Early Intervention, IEP meetings, the transition to adulthood, and how to teach your child to self-advocate. My goal for this course is to equip and empower you with the knowledge and skills to take you from being a meeting attendee to becoming a confident advocate for your child.